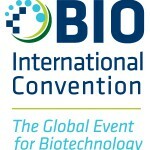 There’s no better place to connect with biotech’s top people and most innovative technologies than at BIO 2016. The ideas shared here go beyond professional development. Experience powerful business partnering, benefit from invaluable education sessions and network with 15,000+ of the bioscience industry’s brightest. 1,800+ exhibitors from all fields—from Digital Health and Diagnostics to BioprocessJoin the global biotech community in San Francisco and see how the everyday becomes extraordinary at BIO 2016.